Everyone will cheer Walt Disney Pictures presentation of this captivating real-life story of Sonora Webster's determination and courage -- now on DVD. A runaway orphan, young Sonora (Gabrielle Anwar) persists for a menial job mucking stables in Doc Carver's traveling stunt show. Her great wish is to become a death-defying "diving girl," but Doc (Cliff Robertson) refuses her pleas. Undaunted, Sonora's gutsy resolve finally convinces him to give her a break. On the brink of stardom, however, a cruel twist of fate threatens to destroy her dream. With the help of a loving friend (Michael Schoeffling), Sonora must prove that if you want something badly enough, anything is possible! This charming Disney live-action picture is a genuine sleeper. It's a variation on the old boy-runs-away-to-join-the-circus story, except this time the boy is a girl. After she joins a traveling show in the 1930s, spunky teen Sonora Webster (Gabrielle Anwar) learns the ropes and eventually lands a plum role in the program: riding a horse off a 40-foot-high diving board into a tank of water. Well, Sonora thinks it's a plum, anyway. 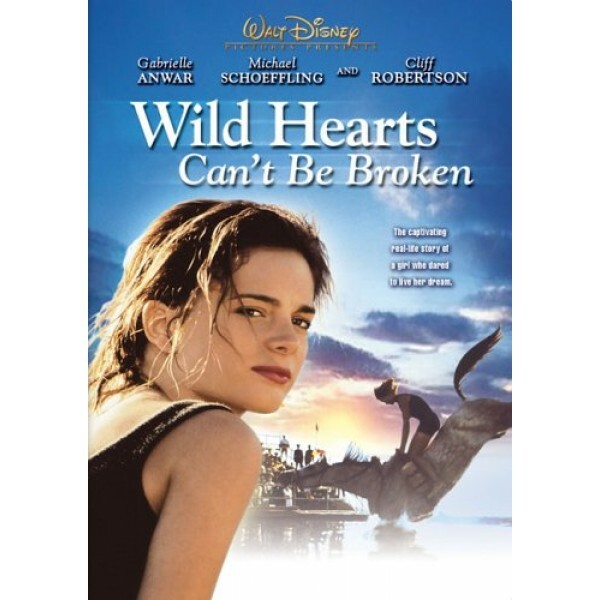 Wild Hearts Can't Be Broken has the usual love interest, a brush with tragedy, and some worldly wisdom (the latter doled out by old pro Cliff Robertson, in a nice role as a crusty barnstormer).